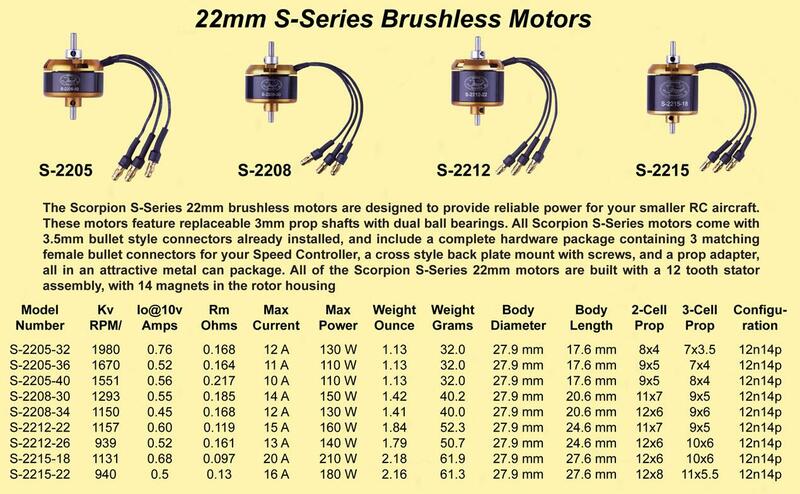 The Scorpion S-Series 22mm Brushless Motors are designed to provide reliable power for your smaller RC aircraft. 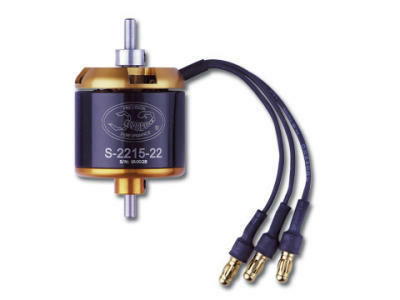 These motors feature replaceable 3mm prop shafts with dual ball bearings. All Scorpion S-Series motors come with 3.5mm bullet style connectors already installed, and include a complete hardware package containing 3 matching female bullet connectors for your Speed Controller, a cross style back plate mount with screws, and a prop adapter, all in an attractive metal can package. All of the Scorpion S-Series 22mm motors are built with a 12 tooth stator assembly, with 14 magnets in the rotor housing.